Bring the sweetness of a rose garden into your home with this charming tea set. 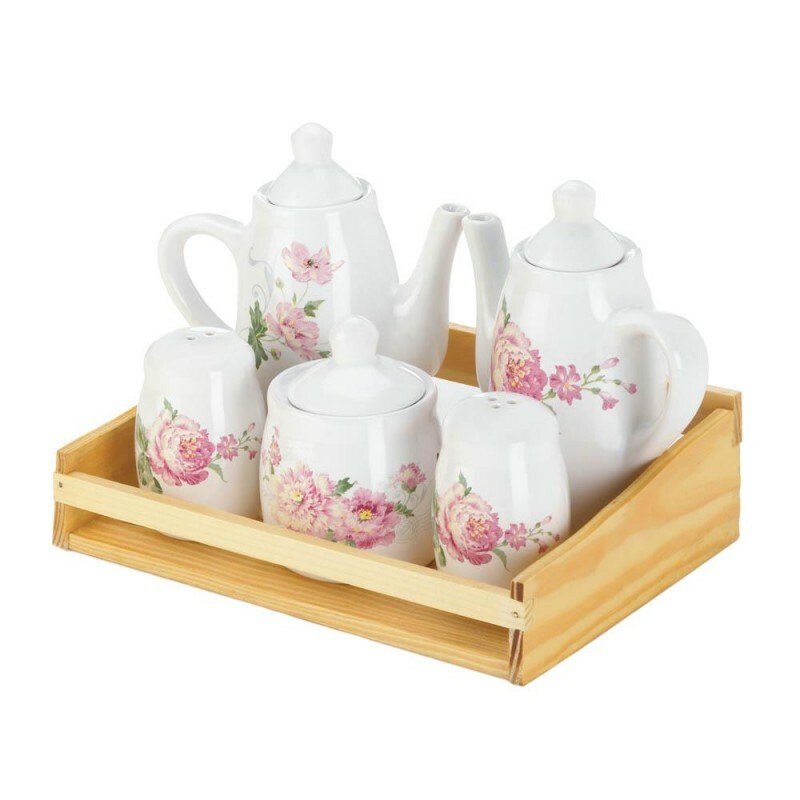 The fir wood container holds a five-piece dolomite tea set, and each piece features pretty pink roses in bloom. It looks great on display in your kitchen or curio cabinet. 8.25" x 5.88" x 6". Fir, Dolomite.